Axis Tool is a professional manufacturing facility with experience in precision machining, tool & die, and product development. The capability of producing parts to a tolerance of +/- .0001 enables Axis Tool to provide customers with an exceptionally high degree of accuracy. We have proudly served the manufacturing, research, and development industry since 1978. Our goal at Axis Tool is to deliver products and services to our customers that meet or exceed their expectations. We will provide an added value of manufacturing expertise and ethical business practices. We will accomplish this by developing strong long-term relationships. 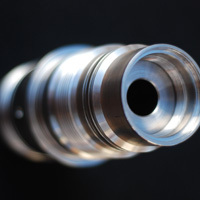 We have the necessary CNC and conventional equipment to provide close tolerance precision machining for your needs. 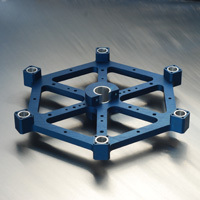 We can also provide fabrication of assembly jigs and fixtures, automated machines, and stamping dies. 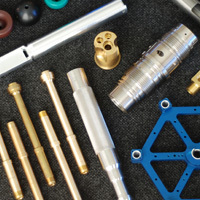 We are familiar with and have extensive experience in working with a wide range of metals as well as plastics and polymers. We can operate two shifts in order to increase manpower and output as required at any time to satisfy our customer needs. Our quality control department is well equipped with CMM and all other conventional inspection equipment to satisfy your specification requirements. We understand that all customers are different and so are their requirements. We take pride in getting to know our customers. We want to understand what their needs are and satisfy all their requirements. We have the manufacturing experience to provide confident solutions to each challenge. Totally support our customer’s efforts to develop and manufacture their products through the offering of complete one-stop services. We accomplish this by developing a plan based on strong long-term relationships. To develop and continuously improve our infrastructure and process in order to meet our customer’s constantly changing requirements. To consistently deliver products to our customer’s that meet or exceed their expectations and to provide our customers added value of manufacturing expertise and ethical business practices. Service to the customer is the foundation of the company; everyone’s attitude and actions will support this basic premise. It is important to promote a working environment that encourages teamwork, training and development, respect for the individual, and involvement in the business process. Business will be conducted in an ethical, honest, and legal manner. All customers, employees, and vendors will be treated with dignity and fairness. Every employee has a responsibility to question the company’s actions when he or she believes a policy or procedure does not support one of the above values. We have seasoned staff in all areas to accommodate any customer requirement. ENGINEERING: 40+ years combined experience in design engineering. MACHINIST: 12 machinists with Journeyman experience and average experience of 25+ years. TOOL & DIE: 30+ years of experience with tool & die industry, giving us great experience in precise tooling issues.